Barefoot Angie Bee: I am a runner. 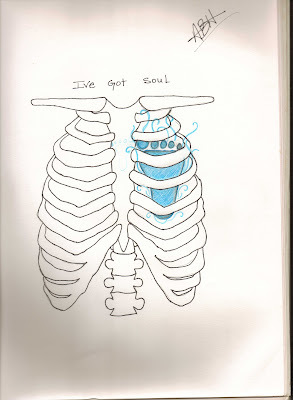 I've got Soul. I am a runner. I've got Soul. I am a runner and I use my feet to propel myself through space and time and there is nothing in life quite like it. Regardless if you wear shoes or not we all have the soul of a runner that gets all exited and fired up just thinking about running. This design came from that feeling. The homophone whispered to my inner word and grammar geek to make it Goldilocks perfect. Sometimes an idea pops into my head and I just have to draw it. The images in my mind don't translate as well to paper as I would like but the inspiration is there. I've got the soul of a runner and the soles to move me and the heart of an artist for sure even if the body doesn't want to cooperate. Glass is more my forte' but that's been put on hold for a while so for now it's all just ideas in my brain box that sometimes, when my hands and mind mesh up, come out on paper. My art on a regular basis consists of finding photos of animals online and practicing drawing them at the insistence of my youngest boy spawn. It's a tough gig since they are not shy about being critical! 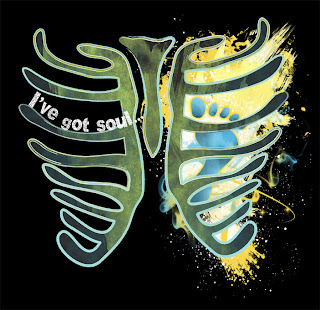 So for the I've got soul design , I asked my super talented, graphic designing, barefoot running, sole sista, Krista, to fix it up for me. We make quite the team. That cat reads minds, for you parents out there, say this last bit in the Sid the Sloth lisp about Diego. Seriously I think she has mind reading powers. What I felt and saw in my head, she made perfectly into a graphic. I added the graphic to my shop called SoulBee at Spreadshirt. There are men's and women's versions available in various styles and prices. There is also the Free Your Feet design available as well. Beautiful! Congratulations! Checking out the shop right now! Thanks for sharing! that's fricken awesome. I want. is it only on the front? can i get one with the design on the back?